The street civilization with its art of graffiti is renowned for being stimulating, tempting, audacious and adamant. In the beginning these graffiti art were used by groups or gangs to mark their area, however, these days it has become the art of more sophisticated and renowned. Not only people with technological knowledge have grasped the art but also they can create the same magic using Photo Shop Designing software. All the artistic designers & artiste across the world are using this form of art to convey their social message & display their artwork. Down below feel free and discover the artworks of great genius. Of course, what a great site and informative resources, I will add backlink. Great piece of art! Amazing. 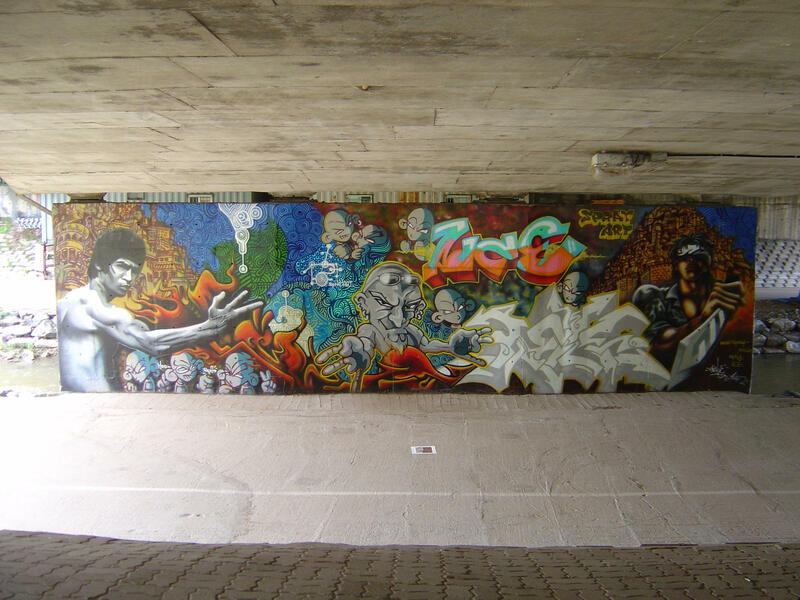 This is a great collection of graffiti paintings. I believe that graffiti art contains some of the best use of colors and ideas! Thanks for sharing. Nice post! I subscribed, look forward to reading more! Great collection of images! You might wanna check out this http://www.deitch.com/projects/project_images.php?slideShowId=409&projId=295. Just happened in Miami last December for Art Basel. Cool, right? nice selection, feel free to visit and get some pics from http://www.graffiti4hire.co.uk if you gonna do another of this! Nice pictures. Something new and creative. Wow! Great site, and very entertaining. Thank you! Interesting. I get inspired. Thank you. Excellent list of galleries I was already using few of it. however it is good to know more. One more great css showcase http://www.csstrophy.com. Number 15 isn’t graffiti, its photoshop.